From Milan: take Sr350 W, prop.on the Rt. Sign on. 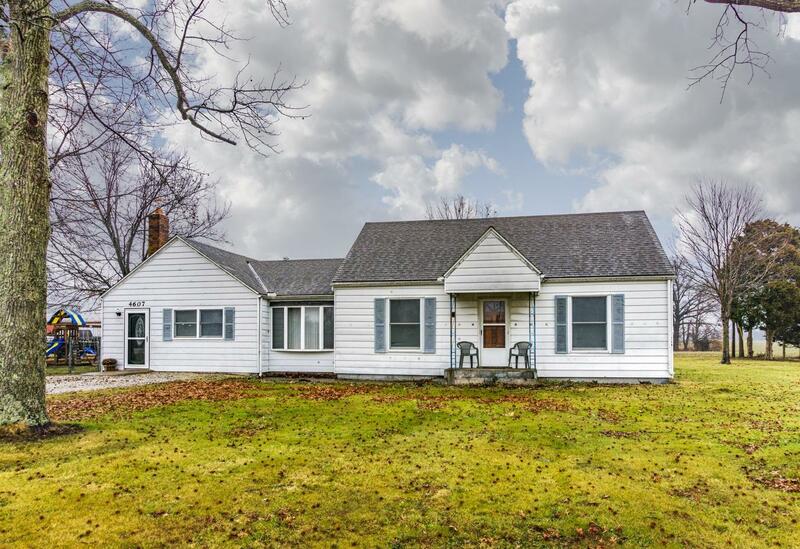 Nice 3Br, 1Ba ranch sits on 1 acre. Lg Rec Rm/Fam Rm for entertaining & open eat-in kitchen area,(updated resurfaced countertops),& updated bath. LR & all bedrms have hardwood flrs under carpet. Fenced in backyard, huge 25x40 pole barn w-25/12 lean to. Fresh gravel just put down for driveway. Includes outdoor wood furnace & all appliances.